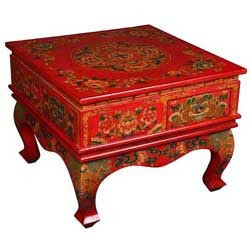 Unlike we Indians even Asians like Chinese,Tibetans also use bright colors like red,orange and green in there furniture and home accents. 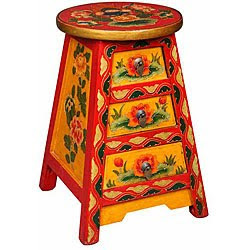 I really liked the Tibetan Hand-painted magazine holders and end table. 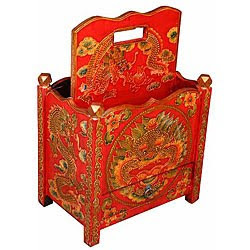 all the images are from overstock.com a premier shopping website.